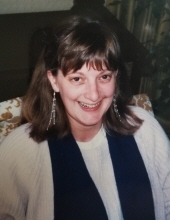 Age 62 of Chesaning passed away on Friday, October 26, 2018 at the University of Michigan Hospital in Ann Arbor. A Memorial service will be held at 6:00pm on Thursday, November 1, 2018 at Nelson-House Funeral Homes Martin Chapel. The family will receive friends that day from 12:00pm until the service. Rose was born on September 12, 1956 to Bernard and Donna (Thomas) Olk in Owosso. She graduated from Chesaning High School. She married Joseph Selleck on August 20, 1982 in Saginaw; they celebrated 36 years of marriage this year. Rosie worked for Lear Corporation in Elsie for many years, and she also worked at Frank's Supermarket in Chesaning. During her life, she loved having family and friends over at her home, vacationing in Florida, and spending time with her grandchildren. She was also a fan of the Green Bay Packers and Nascar. Rosie is survived by her husband, Joe Selleck; her children, Carly Selleck (Mike Della-Moretta) and Richard B. Selleck (Tricia Linzsey); her grandchildren, Gracie and Cameron; her siblings, Deborah (Steve) Barnett, Daniel (Nan) Olk, and Janis (Jeff) Schulte; as well as many nieces, nephews, and other relatives and friends. She is predeceased by her parents, Bernard and Donna Olk. Memorial contributions are suggested to the wishes of the family. To send flowers or a remembrance gift to the family of Rose M. Selleck, please visit our Tribute Store. "Email Address" would like to share the life celebration of Rose M. Selleck. Click on the "link" to go to share a favorite memory or leave a condolence message for the family.